Hello, lovelies~ Are you ready for another gift guide ideas today? 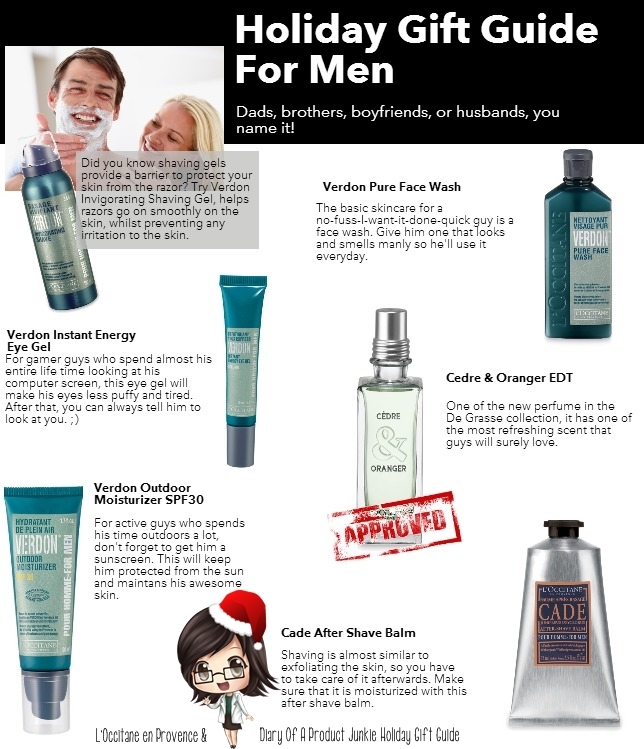 Ready or not, here is the holiday gift guide for men featuring L'Occitane products. All of the products are mostly intended for shaving because that is a huge part of their daily grooming activities. Personally, Mr. G loves to use shaving gels because he says it makes shaving a lot more easier than just using water. So, what are your picks for this holiday season for the man in your life?